Okay, you will need to wait until I find my working files and Import them into a dat file them. I usually work with medium to high size textures and I scale them down for usage in game. What would be an acceptable texture resolution (in pixels) and file format/compression for SHIII? Moreover, do you prefer external or embedded textures? I am talking about the rocks that the lighthouses are rising from. 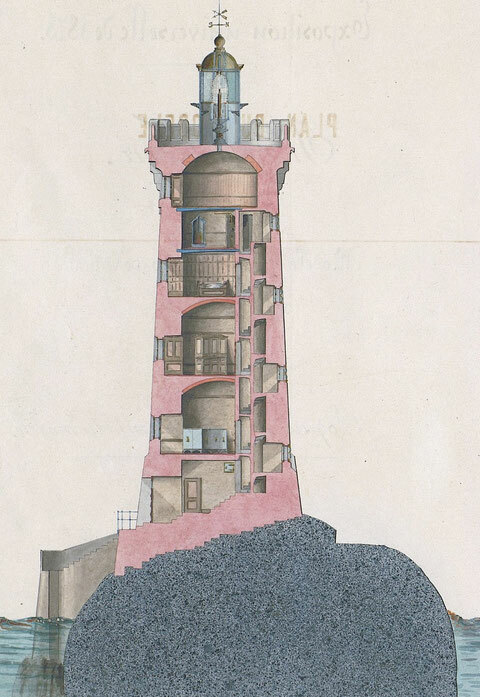 Those need to be integral part of each model so we can only have one fixed depth for each lighthouse, unless you want to make that kind of lighthouses into sea units. If the latter is the case, I could create a set of rocks of different heights to be placed in a library file, and to be conveniently linked to each lighthouse "unit" through eqp file. This is how we made the concrete pedestals of TWoS coastal defences (in SH5 proper coastal defences don't fire their guns). I see a reticule but wath is the scale? What would be an acceptable texture resolution (in pixels) and file format/compression for SHIII? Moreover, do you prefer external or embedded textures? I Prefer embedded textures. For the resolution, I think maximum 2000x2000 pixels. I always rework heavily free 3D models I find on the web, because they rarely have the vertex resolution and other properties which suit game models. If need be, I can add some more detail to the lighthouse mesh, but we should also keep an eye on file size; adding very complex objects near land is always a bit risky, you know. Yes, just a little more detailed, but not all the 3D details. Yes, sure. Look at the model I've sent to you : windows and machicolations are just textured, but it looks good ! Yes, me too. 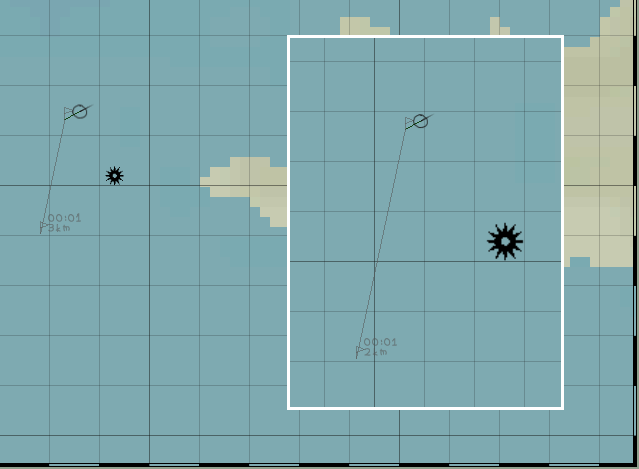 As the LH won't be sea or land units, we just have to set "onland=false" in the Locations.cfg files, and the node of the LH will always be at the sea level, whatever the depth is. But I agree that we attach the rock to the LH model. I was just thinking that we could use the same model of rock for several LH, maybe a little reworked and with a different stone texture for more diversity ! But if you want to model a totally different rock for each LH, it's even better ! unless you want to make that kind of lighthouses into sea units. If the latter is the case, I could create a set of rocks of different heights to be placed in a library file, and to be conveniently linked to each lighthouse "unit" through eqp file. On the other hand, we would enjoy much more flexibility for customizing the appearance/look of them at various stages of the war (some lighthouses were destroyed during the conflict and some others, including La Vieille as I read, were abandoned/obscured late in the war). This is something we can't do with regular land units. Ah, didn't think about that. I don't think it's very important for now. Let's work with your imagination ! Under and above water reefs would be excellent ! But not too many ! Remember that we can use a danger buoy to mark the danger ! Something is strange. I tested for Camaret LH (near Brest harbour). You want, to model it inside? This will be waste of computer resources. Not at all, it's just for external details and global proportions. What are the news ? I hope all is good on your side. I just wanted to know what you decided to do for the lighthouses models and also the rock/reefs ... ? Is it to hard to model them, or have we a chance to reach our great objective ? All the best ! And Merry Christmas if we don't talk before this time ! I had this problem when modifying lighthouses in SH2, and Sergbuto helped me out. 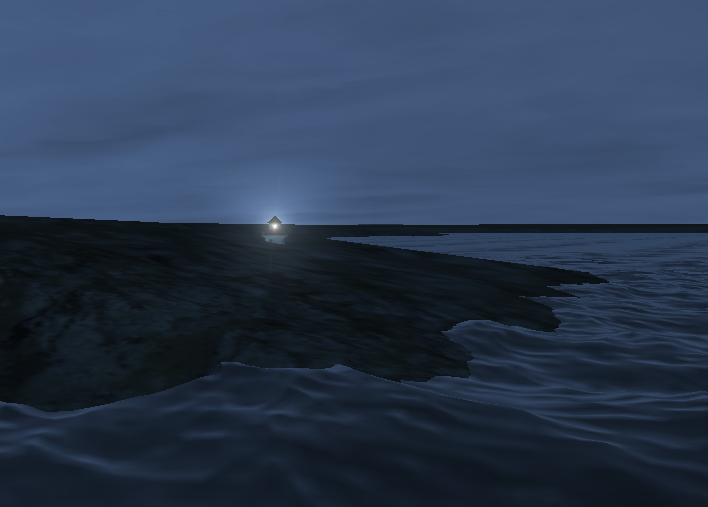 You need to look at Lighthouse.dat in the \data\Terrain\Locations folder. If I remember correctly (very long time ago) there has to be a new node for each lighthouse (???) and you adjust the Translation y value for height above sea-level. Who knows where the time goes as Sandy Denny sang so beautifully. Je pense donc je fuis! For my own pleasure, I have decideded to redo it, but of course I will be my pleasure sharing it with the community along with the Dune leading lights and with any other model I might be working on after it. The La Vielle light is coming along nicely. I am using the 3dWarehouse model as template, so it shouldn't take too long to me finishing it. What and doing is fixing some wrong proportions, consolidating the meshes for use in game, remapping the UV channel and retexturing the model. I will post some quick renderings in a couple of days, and I hope I will finish it before the next year. Hope this helps but this is going back to 2006 . I should have a close look into that model, but I think MLF is correct. When a terrain object is place on land, the cartesian coordinates of its meshes are used for determining its height relative to the terrain. 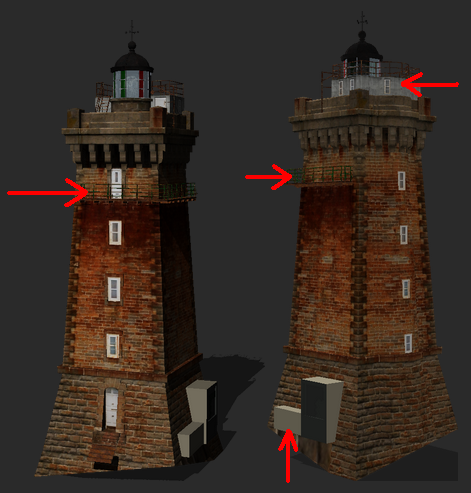 In other words the meshes of that model need to be moved up so that the base of the lighthouse will have a y coordinate close to 0. Good findings! 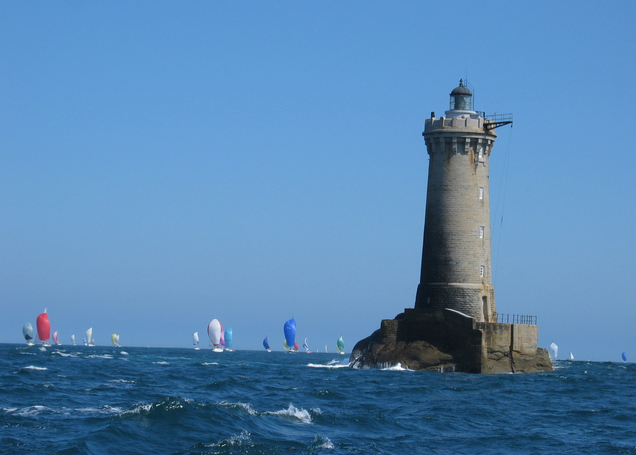 Phare du Four? Hey, no problem ! Take all the time you need. I will post some quick renderings in a couple of days, and I hope I will finish it before the next year. As you can see, I have added quite a lot of 3D detail, and textures look much better though I probably need to tweak their hue/saturation/luminosity/contrast a bit (the red dominant comes from the picture I extracted the textures from). Floor level and rocks still to do. Wow, that's really beautiful ! And could you create a transparent glass at the top of the LH ? Other than that, I would like to bake an ambient occlusion map for the model. Yes, but what's that ? I am striving to make the present model as similar to the real thing as I can. I nonetheless had your same thought. All the details that you pointed to, are in separate meshes than the main model, and they are removable with just one click. Once I release the model as La Vieille, it will be easy for me creating another generic light house model based on the previous one. It is. If you look closely at the detail of the gallery in the picture at the bottom of my previous post, you will be able to see the lantern (a Fresnel lens) through it glasses. Onestly I didn't put much attenction in fine tuning the material properties in the obj model that I am working on. Anyway how transparent those glasses are going to be in the release (dat) version, is a matter of setting their material properties properly in S3ditor. An ambient occlusion map is a texture featuring prerendered shadows, calculated by some 3D editing programs based on the geometry of an object, and it is meant to represent the shadows that the various parts of the same object would cast on each other under a diffuse light. Simplifying, you can see it as a texture with shadowing, enhancing the perception of 3-dimensionality of a model rendered on a 2D surface. I have exactly the same ideas as you ! Once I release the model as La Vieille, it will be easy for me creating another generic light house model based on the previous one. Could this generic model be a little different in aspect (3D and texture) ? Ah, I saw it ! But I though it was a texture ! I didn't dare to ask you to model a Fresnel lens, and that's just great that you've already done it ! Thanks for these explanations ! Really interesting ! I managed to create an icon for the LH which is not so bad looking.